History isn’t boring. History can only be boring if we can’t relate to the story being told. In our public schools system, the stories have been carefully selected to give us a certain idea about the world we live in and how it came to be as it is today. In reality, there is a lot left out that we will only discover if we take the responsibility for learning in our own hands. One of the stories that is oversimplified is the story of the transatlantic slave trade. In school, we learn that Black people were sold out by their neighbors in Africa and were enslaved, tortured and brainwashed until they forgot everything about their origins. Eventually, the citizens of the nations that enslaved them realized how mean they were being and then fought to set them free. This version of the story presents the enslaved Blacks as passive and weak, unable to stand for themselves. The countless stories of survival and resistance have been left out of history to deliberately give this impression. Again, the reality will be lost for those who look no further than the history books. In many cases, enslaved Africans escaped soon after they got off the boat, while many others escaped from captivity on the plantations. Many of the successful escapees united and built their own communities in territories that had not yet been conquered by the invaders they fled. This was the case throughout North and South America. In the case of 19th century Caribbean Islands, these groups became known as Maroons. Maroon comes from the Portuguese word cimarrón, meaning wild. The Maroons of the Caribbean built their communities in the mountainous regions of the islands and successfully resisted conquest by the French and British. The Maroon communities were modeled after their African homes in every way possible, including their methods of resistance. The enslaved blacks of Saint Domingue outnumbered their captors 10 to 1. In order to maintain control over their captive workforce, the French subjected them to terrorist tactics so horrifying it is hard to imagine. Those who were lucky, or perhaps unlucky enough to survive the boat ride were either killed or worked to death within the first 10 years of captivity on average. Despite their suffering, the enslaved Blacks managed to hold on to many of their traditions and values from home. It is unimaginable that there was anything besides these traditions that could mobilize so many to act in unison without alerting their captors. How else could 50,000 people from the plantations, to the cities, to the mountains act at once before the age of social media or even telephones? It remains a mystery until today because their tactics were expressions of a culture that today we find equally mysterious. Those Blacks, both enslaved and free, the majority of whom knew nothing of European tactics and weapons of war, successfully evicted the French from the island. 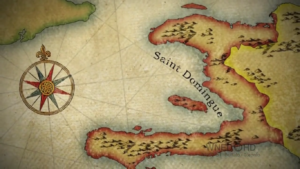 Let’s be clear that Saint Domingue was a crucial source of French wealth and power at the time, and while France itself was in a period of chaos, it would not let it go without a fight, nor would the extremist plantation owners. 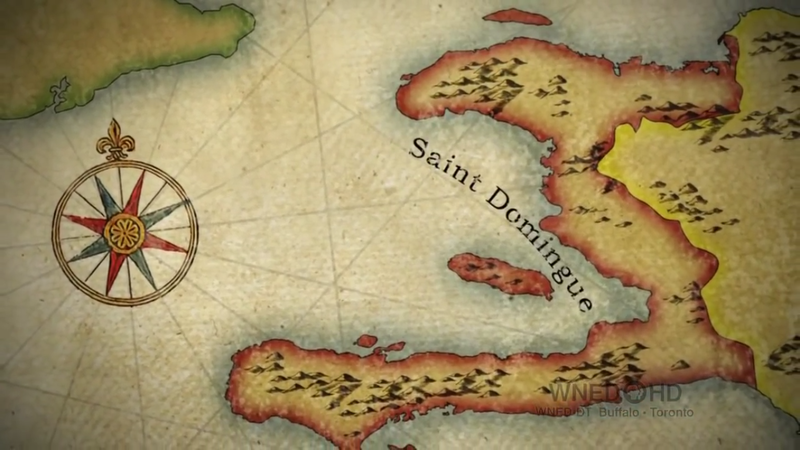 Following the revolution, Saint Domingue was renamed Haiti. Haiti is derived from Ayti, which was the name given the island by the Taino people who lived there when Columbus arrived. 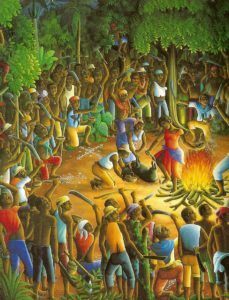 Stories of the Haitian Revolution make reference to the use of Voodoo by the freedom fighters. Usually historians present these references with obvious skepticism, if not ridicule, as if there is no way these techniques were effective. Once again, Black People are presented as being incompetent and superstitious. The fact is indisputable that the Maroon communities who successfully fought off invaders for over 100 years made extensive use of “magic” during the revolution. One can only come to the conclusion that they used this same magic to successfully defend their communities against the French. Considering the Maroons’ success, we must not underestimate the effectiveness of Voodoo simply because we don’t understand it. Spiritual knowledge has always been a central part of every pre-colonial, indigenous culture. More than just a tool for warfare, spirituality is a technical field of knowledge which provides a connection between humanity and the unseen, immaterial worlds that influence the physical existence. This is the pillar which all Black Cultures and indigenous cultures are built upon. Spirituality provides stability to the entire culture and all of its members. It provides each individual an understanding of existence and their place within it. Every human being’s destiny and reason for being is tied to the spirituality of his/her culture. This field of knowledge is called Voodoo in Haiti. In addition to this essential foundation which spirituality provides, there are many powerful abilities that experts in the spiritual field have developed over tens of thousands of years. The power that comes with spiritual knowledge enables the professional to predict the future and the coming of good fortune or misfortune, and even to change misfortune to good fortune. One can predict and influence the weather (for example with ceremonies to bring rain). There are medicines that make the skin impenetrable to blades, etc. Along with spirituality, the Blacks of the Haitian Revolution were empowered by a mastery of nature and plants which enabled them to survive in harsh terrain by growing their own food, making their own medicines and also poisons when the need arose. All of this knowledge was brought by them from Africa. The Haitian Voodoo Temples remain connected with the Voodoo Headquarters in Ouidah, Benin, where huge numbers of captives were taken from. This wealth of knowledge is what made the Blacks the ideal targets to enslave. However, it was this same knowledge which they would use to resist the brutality of their oppression, no matter how inhumanly savage it became. The enslavers were faced with one frightening reality after the Haitian Revolution: no matter how extreme their measures of brutality, as long as their captives held onto their culture, they would never be able to relax. They would have to live in constant fear of uprising. No matter how many of the victims were beaten, maimed or murdered, they found a way to organize themselves and resist successfully. Napoleon, who succeeded in conquering most of Europe, abandoned all French ambitions for conquest in the Caribbean and the whole North and South America after being kicked out of Haiti. 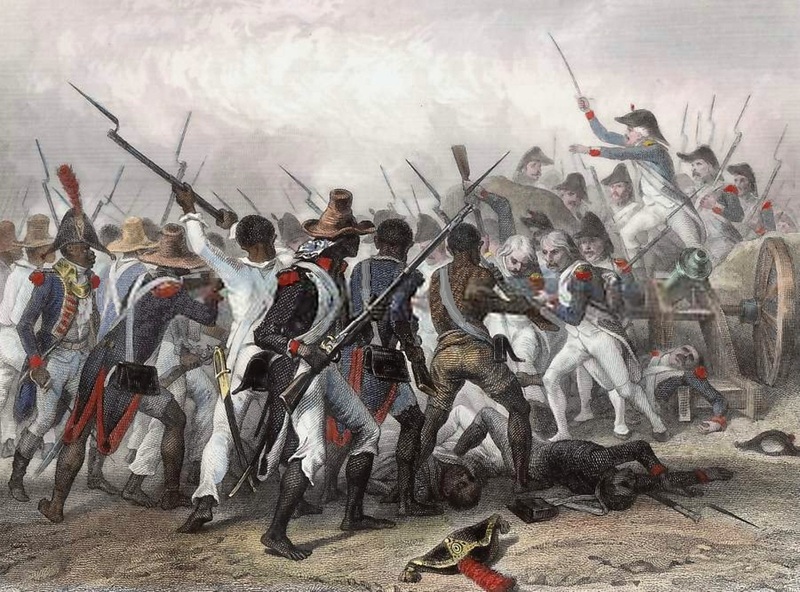 In 1803, the same year Haiti declared independence, Napoleon “sold” its remaining territory in North America to the United States in the famous Louisiana Purchase. Although the sale was no more legitimate than me selling my neighbors after I burglarized it, history shows that the US took control of the land by force anyway. A new strategy would be needed for them to continue their plans for conquest. This new plan would rely on a conquest of the mind instead of a captivity of the body. This new plan quickly began to take shape soon after the Haitian revolution. In 1807, the US and UK both passed laws criminalizing the slave trade. Many other countries had already abolished slavery or banned the slave trade in some form, but this began an aggressive stance by Britain to stop the slave trade, not only in its own colonies but throughout the world. This ironic transition of European countries from the position of conqueror and enslaver to liberator and benefactor was simply a change in strategy. The greed of the slave catchers led to such large numbers of captives flooding Europe and North and South America that they began to outnumber their captors. The threat posed by the captive population continued to grow as their number increased. According to the new strategy, the enslaved blacks would have to be disconnected from their roots and taught to value the culture of their captors over their own. Every new group of captives brought a fresh reminder of their homeland and culture. To truly disconnect the captives from roots, they could not continue to have contact with people from their home. This was another reason to stop the slave trade. Voodoo and other pillars of Black culture were ridiculed as superstitious and primitive or demonized as being the “Devil’s work”. This process of brainwashing would not be instantaneous as the enslaved populations would continue to retain aspects of their culture for generations. However, like a branch cut from a tree, the captive Blacks were doomed to either die or take root in foreign soil. The survivors would adopt foreign values, gradually losing their memory of home and the desire to return there. Until today, descendants of captives, from Haiti and throughout the world, continue to be convinced that their origins are worthless and refuse to return to their true source of power. In Haiti, the free population split into two basic groups; those who believed in the superiority of their former captors and those who wanted to continue to live as their Ancestors had. The majority of the population stayed in the rural areas, simply wishing to be left alone. Those whose goal was to imitate their oppressors occupied the cities, competing with each other for the leadership posts of the country. These self-proclaimed leaders succeeded in duplicating the combination of violence and deception and proceeded to sell out the country to the same ones who had enslaved them. Catholicism was imposed as the national religion and Voodoo was persecuted. This led to the form of Haitian Voodoo which is disguised as Catholicism. The leaders of the new Haiti could not see themselves living without European society and merchandise and continued an open relationship with France, Britain and the United States. These foreign nations continued to assert their influence. France even demanded reparations for their losses during the revolution. With the agreement of the Haitian president, Haiti was plunged into a perpetual state of debt, requiring the government to impose forced labor and taxes which were paid to France. 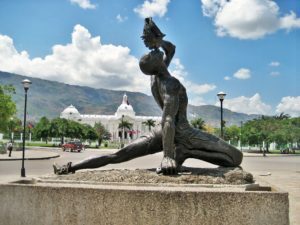 Despite these defeats, and many injustices and tragedies that have plagued Haiti since Columbus landed on the island until now, the Haitian Revolution stands as an important reminder. Our indigenous cultures and spirituality holds the power to free us from the onslaught of colonialism, this new form of slavery. Although we have been taught to fear and hate indigenous spirituality and every other expression of our origins let us consider one thing. Those captured and taken on slave ships to a foreign land, only to be tortured and worked to death, would have given anything to return home. What will those Ancestors think of their descendants who are now running from themselves and their own roots?